Labarthe gite and bed & breakfast, situated on the borders of the Lot et Garonne, the Dordogne and the Gironde is owned by Jeanette and Richard Hyde, a more perfect pair of hosts you couldn’t meet; as testament to this, you’ll find that every single online review has never been less than five stars, that isn’t just a friendly neighbour either – a full, solid five stars from tens and possibly hundreds of travellers that have been fortunate enough to have discovered this gem. A magnificently situated bed & breakfast, or if you prefer, self-contained gite that offers so much more than accommodation. The view from the window is something akin to a Constable landscape; all rolling hills, beauty, and greenery for as far as the eye can see. Perhaps the only difference to a Constable landscape is the lack of cloud in the sky – even the weather dare not spoil the view. Benefitting from a micro-climate due to the Dordogne and Gironde rivers and the local topography, you’ll find that the weather is often better in this beautiful location than it can be just 15Km away. Mild springs encourage early budbreak, while warm, sunny summers provide excellent opportunities for fruit ripening, particularly given the area’s southerly exposure. 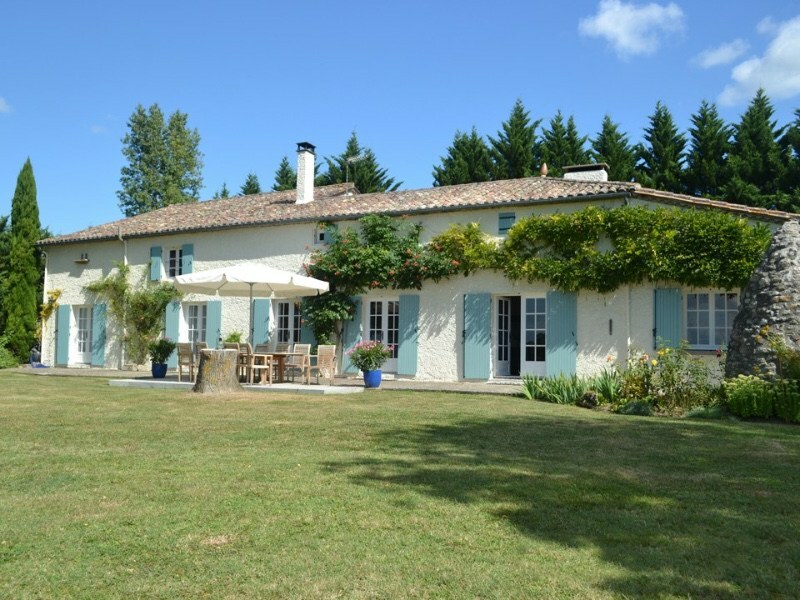 The gite itself is as well appointed as you’d want or expect for this style of residence. If you’re looking for minimalist city style living, 100mb Wi-Fi, and the latest technological gadgets, we’d respectfully suggest that this isn’t going to be your first choice. However, it does have Wi-Fi throughout which should keep any younger members of your party entertained or keep you in contact with the office if you find you’re unable to go cold-turkey. With Bordeaux being a little over an hour away, you can guarantee that you’re sure to find the perfect accompaniment for your evening meal or perhaps lunch, it is a holiday after all. You don’t need to travel all the way to Bordeaux to find a decent tipple; walking to the edge of the garden will see you amongst the local vineyards and surely no trip to the south of France is complete without making friends with the local people? Why not try the local Cotes de Duras or the owner’s namesake, Château Richard – both excellent red wines. Cotes de Duras is an appellation for red, white and rosé wines that come from a small area of southwestern France. In fact, the vineyard area, which covers land in the northwest corner of the Lot-et-Garonne, can be considered a small offshoot of the larger Bordeaux wine region. Red wines based on Cabernet Sauvignon and Merlot and white wines based on Semillon and Sauvignon Blanc are – perhaps not surprisingly – the appellation’s specialties. If you’d rather spend your day by a pool, the bed & breakfast and the gite share access to their own private pool, located just outside the door and complete with sun loungers, parasols and barbeque – what a perfect way to spend some time; gather your family and friends and start creating memories. A warm and friendly welcome is guaranteed for all, being greeted like an old friend is their speciality and before you know it, you will be an old friend. We can’t recommend them enough. If you want to find out why Labarthe continues to receive the very best of reviews, to add your name to the growing list of regulars, contact them directly; within moments, you’ll know you’ve made the right choice.